Restaurants in Rome, the seafood restaurants of Rome, the restaurants in Rome center, special restaurants of Rome, restaurants in Trastevere, Rome. In short, a mini guide of the best restaurants in Rome according to our great collaborator Luigi Cremona. According to the Michelin Guide between Rome and Milan is almost a tie: 12 against 11 stars! And from a standpoint of emerging restaurants is a challenge. There are young talents in both cities, with a great desire to grow and to do. Here are the new and young best restaurants in Rome, according to Luigi Cremona. 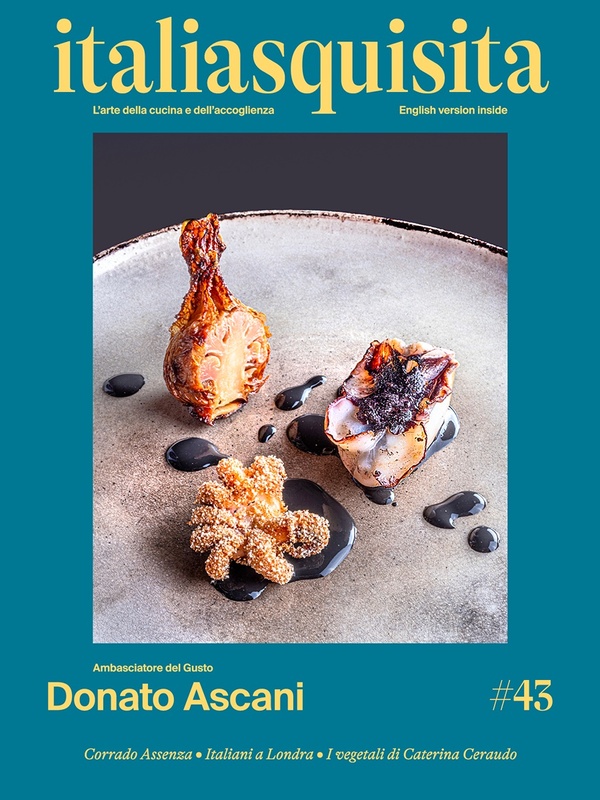 Close to Campo de 'Fiori is the first restaurant, “Il San Lorenzo” (www.ilsanlorenzo.it), a new reality certainly outstanding, the holder is Enrico Pierri. In the evening, if you do not book a table, you can settle for an appetizer at the elegant and well-stocked bar. Dishes with ponza fish coming fresh every day when the sea allows. Delicious raw, delicious fried, bruschetta with sea urchins with a great flavour, and food seeking consensus respecting the material. Dessert can be improved and remarkable cellar. Of the river to Trastevere we find “A’ Ciaramira” (www.aciaramira.it). Mario Bruno chef and owner is big, but shows a light and happy touch. Besides the usual raw here are the kamut pasta with sea urchins, the pasta A’ Ciaramira with eggplant and ricotta lettuce, Spelt linguine with anchovies and pecorino, and, new this year, a number of vegetarian dishes increasingly appreciated by established client base of habitus, like the excellent zucchini noodles with cream sauce, panzanella and raw onions. Between the Colosseum and St. John is “Alchemilla” (www.alchemillaristorante.com) a new type of restaurant: small simple menu of the evening, it all starts at 21 to finish about two hours later at an agreed and convenient price. A series of small samples not common, some quite interesting. Sure, not all accept the formula, but in a landscape as vast as that of the Capitoline restaurant, a place so was lacking. Compliments to the chef Francesco Magiar Lucidi. Via Veneto is also now a classic point of view of food. We are among the best hotel restaurants in the capital and could not miss a novelty here: Danilo Ciavattini less than thirty years and now faced with an ambitious project: the restoration of a luxury hotel, the Palace Hotel. The gourmet restaurant, “La Spiga " will be the test of his ambitions. He started recently, but already gives us a clear commitment cuisine: pork in tempura with anchovy ice cream or vermicelli pierced with bread, butter and anchovies. The restaurant “Settembrini” (www.ristorantesettembrini.it) is in the Prati district, near Piazza Mazzini. Clean and basic, superb wine cellar, as is also the superb selection of wines at glass. A menu that changes in weight throughout the day, fast and light (both in content and price) at noon, more demanding and organized in the evening. Chef Luigi Nastri is young and prepared, with a modern and well executed kitchen: saffron orange pumpkin and ricotta, ravioli with pecorino Genovese, chocolate licorice raspberry and beer. “Metodo Classico” (tel. 063 244 262) is one of the latest novelty in Rome. Via Guglielmo Calderini 62/64, just behind the Maxxi the beautiful new museum of modern art, in an area that will know strong development and appreciation (not far is the Auditorium). In the dining room is Samba Gaetani Lovatelli d’Aragona, a family pedigree in this field, and at the stove Marco Salis, young and capable. The sequence of raw and cooked appetizers is pleasant, the rest of good quality in an environment that is appreciated for the informality and the good score. The restaurant “All’Oro” (www.ristorantealloro.it) for most of the experts will be the next Michelin star in Rome. A small local of the Parioli, who manages to keep its own style despite the small size even of the tables. A well balanced menu offering the famous "rocher" of oxtail, alongside new mascarpone ravioli with duck and red wine, and dumplings stuffed with butter and anchovies. Riccardo di Giacinto, tall and handsome, is the chef helped in the room by the gentle companion Ramona. Atlas Coelestis (www.birrificioatlas.it) is the farthest from the center of our lap. Nestled in the outskirts of Rome, a little disguised in a huge container that offers in one large room more solutions. There's pizza (famous and delicious, and also expensive, 20 euros!). There is a brewery, a corner with books and objects, and finally the tables set for dinner. In such an environment is expected to comply with quality ingredients that the menu lists. But here's something more, thanks to these two big cousins, Cristiano e Riccardo Iacobelli, who flaunt character and prowess in the kitchen. Under the ceiling that recalls the vault of heaven, the table is lit with a carbonara to be taken as an example of the genre, with the Roman broccoli pudding, and the red shrimp cooked and flavored. It convinces even a difficult dish as breast of partridge stuffed with ricotta driven red partridge and foie gras, cream of pumpkin and amaretto, sauce to Montepulciano d'Abruzzo and small polenta.